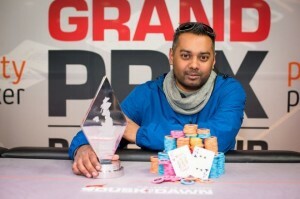 The winner of the Grand prix poker tour championship is sunny Mistri, a pro poker player from the United Kingdom. 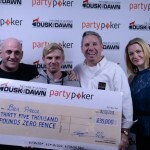 He won the main event and took home a cash prize of £35,000. The Grand prix poker tournament was being held at Stamford Bridge whereas the second phase of the tournament would take place at online. This grand event was for all poker players. The guaranteed cash prize for the main event was £250,000 whereas players turn around for the championship was 3,200. #3rd Place: – A pro from England Tony Vu got third position and collected £15,680 as winning amount. #4th place of the poker championship belongs to Tim Rowlands. He got his winning share of collected £11,790. 9th:-Hristo Genov added £2,800 to his account. Sunny Mistri was very pleased after winning the first prize at Grand prix poker championship at Stamford Bridge association with pokerstars. He got off a very good start at the beginning of the game or Day 1 of the event and had 729,000 in chips. The game was supposed to be meant for eight players but double eliminations made this remaining changed. The same championship’s second leg will take place at online from December 20th 2015. Yo can check this out. As we always try to give you latest updates and information regarding online poker and tournaments.